Not anymore! Claud continuously grow and progress. She knows how to assert herself, use her charms and wiles so we don't have to put her to bed. Clingingr to every bit of wakefulness as long as she can. It was tiring! The only thing that would make her go to bed when she's in my care is to latch unlimitedly to breastfeed! She finds feeding soothing so if I want to make her sleep ASAP, dede na! 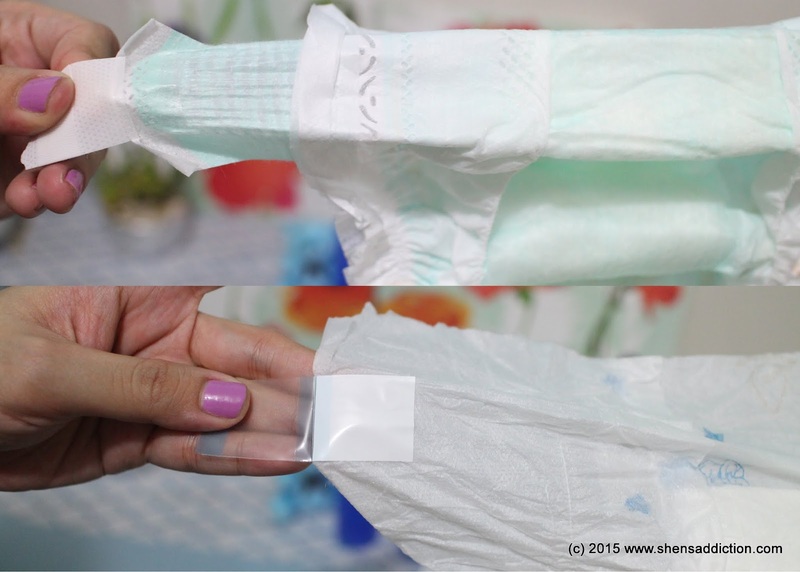 Which brings us to main point of this post, my raving review of the new Pampers Baby Dry Diaper. This diaper is nothing short of a miracle because each feature make our bedtime routine soooooo much easier and faster. But all that is worth if it ensures Claud a good night sleep especially that Pampers Magic Gel gets the job done. I used to feel Claud's nappy when I would wake up at the middle of the night, I insert my hands between her chubby tush and her nappy to check for wetness and always (always!) 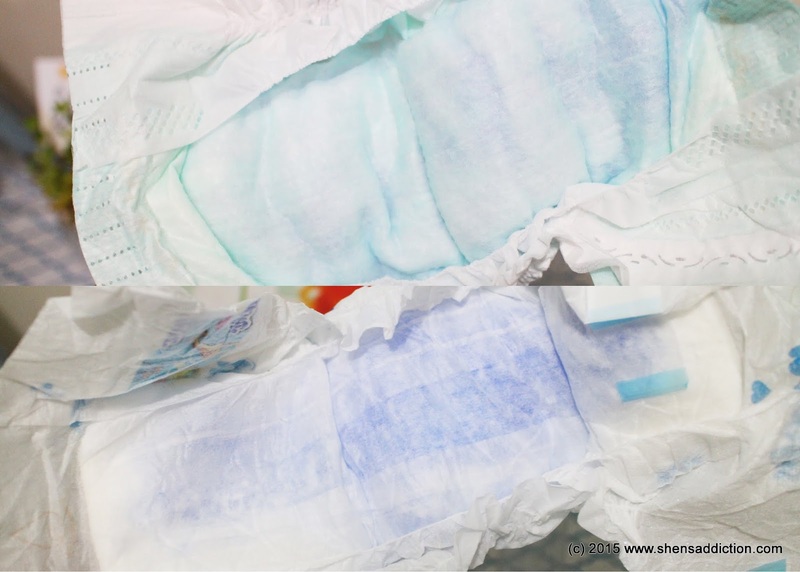 since the past year we've been using Pampers, not once was my baby's bum wet. Assured of this and that I don't have to change her nappy, I easily go back to sleep. With this feature, Claud may have drank all the milk she could from me, and wet herself a few times at night but not wake up at all. It may have been a struggle to put her to bed but at least when we do, she stays there, asleep, peaceful as if no tantrums occurred a few hours before. :) I should think that this is because of the special Magic Gel Pampers use in this new Baby Dry variant that does all the work of absorbing all that wetness. And the 12 hours dryness promise? Fulfilled! Stretchy Tapes, I LOVE YOU! This nifty little part of the new Pampers Baby Dry is nothing short of amazing! I didn't realize before that I put myself in such huge inconvenience for putting up with non-stretchy tapes from my previous diaper brand. As in! May choice pala ako! Like I mentioned, putting Claud to bed at night is a challenge. And that includes getting her dressed for bed, which of course included changing her nappy. And on cue upon seeing her pj's, she would practice her acrobatic and gymnastic skills so we waste a good amount of time putting on her pantulog, Naturally, we have to change her diapers. #JuiceColored, the struggle! Ang likot! So the stretchy tapes really help A LOT. It lessened my need to press her down because the Pampers Baby Dry works with me instead of against me. Parang team mates, lang. (Insert image here me and Pampers Baby Dry doing a high-five with a cartwheeling baby behind us). One of the things I noticed about Pampers Baby Dry is that isn't doesn't feel like a diaper at all. And if it is, the thinness of the material and the soft cottony feel of it surely is part and parcel on why my daughter sleeps through the night. No rustle at night and the thin material allows us to wear just about anything. It could be the magic gel, the soft cottony material but everything that Pampers Baby Dry is made of eliminated any cause for rashes. Since converting to this brand and variant, we barely had to use diaper ointment. Such a relief for since I feel so bad when my daughter have nasty red welts on her private parts, Nakakaawa kasi! I can honestly say that with Pampers Baby Dry, taking care for Claud became a little bit easier. As she continues to grow, ensuring a good night sleep will help in her development and allow her to achieve all her milestones. A good night sleep also means a happy baby throughout the day and that means, a happy mommy in me, too! And that's it for my glowing review of Pampers Baby Dry. Definitely what you should use if you want less struggle caring for your baby. May mga bagay na pwede mong tipirin but this is one thing you can choose to spend a little bit money on. ☺️ Promise, it's worth it. If you have question, just comment below and i'll answer them ASAP.